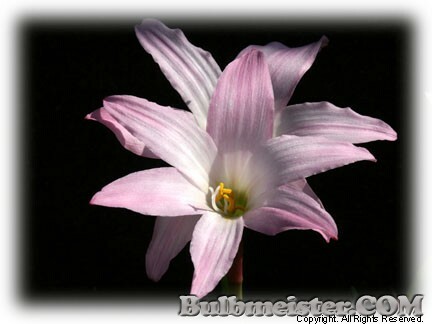 From the family, Amaryllidaceae, having common name(s) associated with the genus; Rain Lily. A wonderfully dependable rain lily that has proven to be as hardy here in zone 6 as my Zephyranthes grandiflora. Ht. 10 inches. Hardy in zones 6, 7, 8, 9, 10.